Studebaker’s roots trace well back before the days of the automobile, getting their start way back in 1852 building horse-drawn wagons and carts. 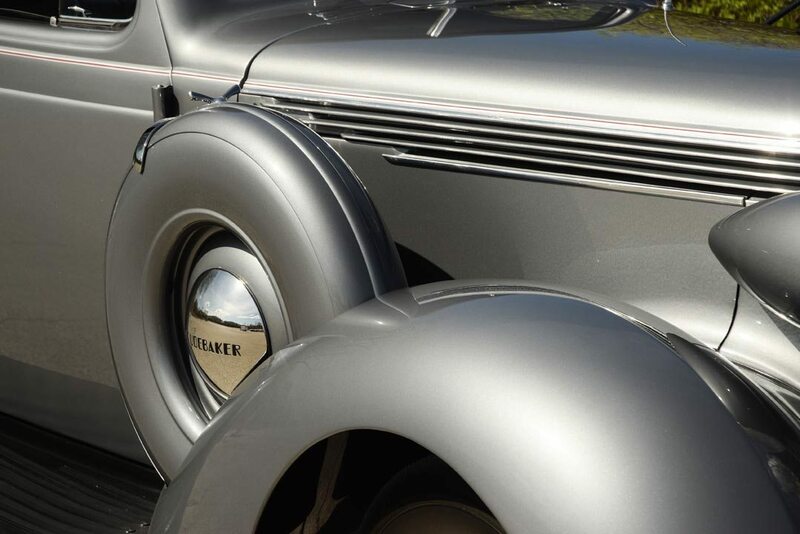 Thanks to their consistent quality, the Studebaker brand became a well-respected marque all across America, which made their transition to automobile manufacture in 1902 relatively smooth. Initially, they were forced to form partnerships with other manufacturers, with the vehicles sold out of Studebaker showrooms, but in order to protect their hard-earned reputation, Studebaker eventually took over all aspects of car production in 1912. 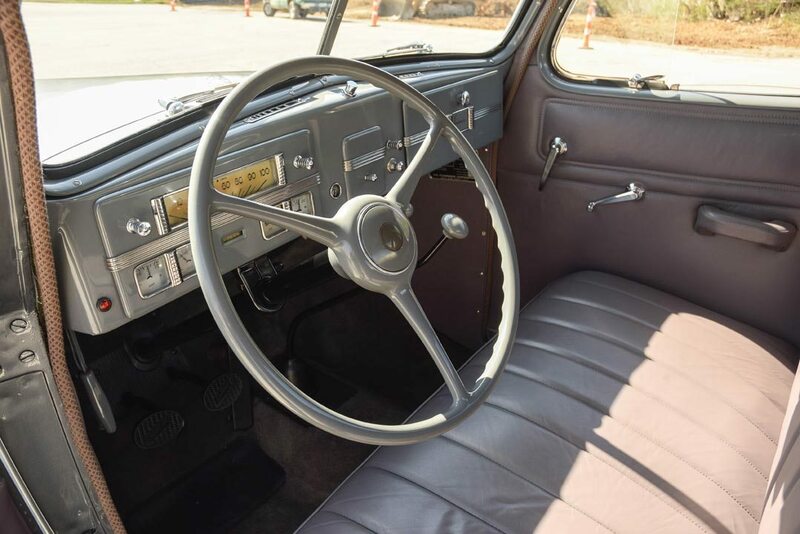 Early Studebaker cars and light trucks quickly picked up where the wagons left off – and remained well regarded as high quality machines that were designed and built to last. 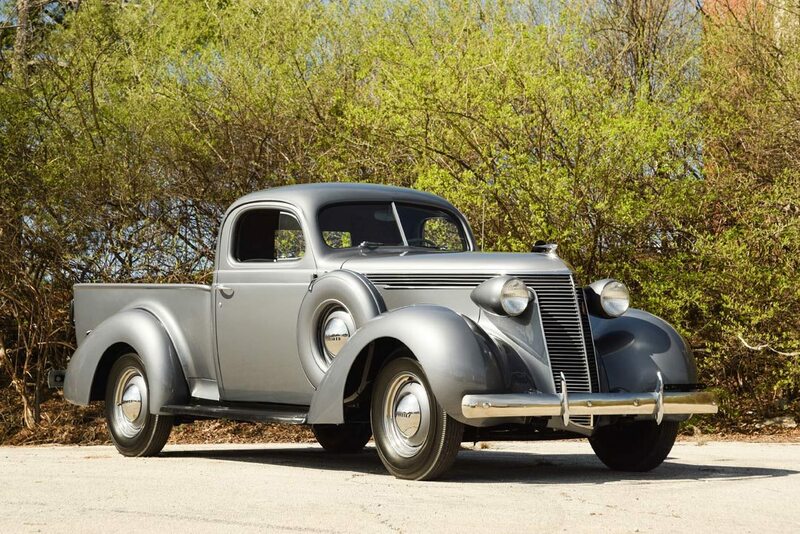 Studebaker got a jump on both GM and Ford by decades when they introduced the Coupe Express to the market in 1937. When American enthusiasts think of the origins of car-based Ute pickups, their first thought is often the Ford Ranchero or the Chevrolet El Camino, but it was Studebaker who paved the way in America. The handsome Coupe Express utility pickup was built on the 5A Dictator chassis, and shared its classic front-end sheet metal with the passenger car. A new panel was made to enclose the cab and a robust 16 gauge, double-wall, all steel pickup bed was fitted out back, with a single side mounted spare wheel keeping the bed open for cargo. The result was sleek and stylish, with a bit of a factory hot-rod look about it. 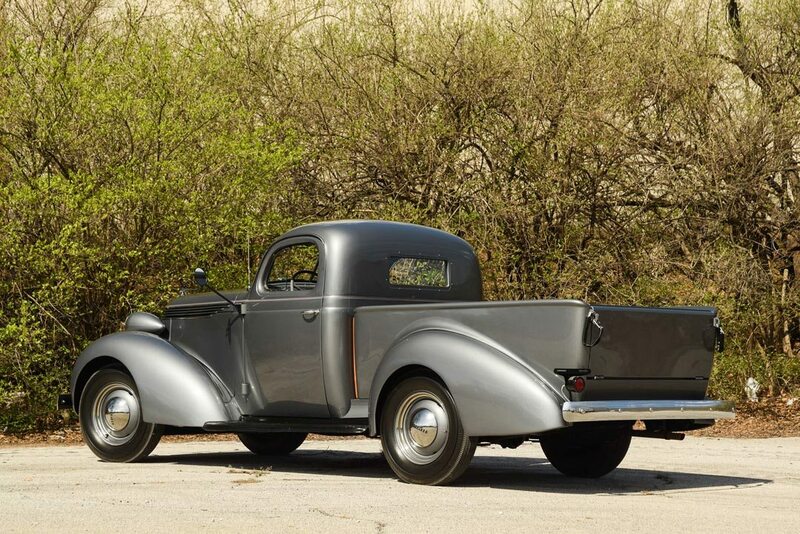 Combining car-like comfort with a ½ ton capacity truck bed, the Coupe Express was a novel idea for the time with just 3,125 finding new homes in 1937. The 1937 Coupe Express photographed today is an exceptional example of this rare and supremely cool Studebaker, having been treated to a high-quality, well documented, nut and bolt restoration in 1994. It is finished in the original Studebaker gray with painted wheels, proper blackwall tires, and a subtle red pinstripe on the beltline. The paint quality is very nice, with clean gaps and a nice shine showing the care it has always received. The chrome and trim is also excellent, and it wears a proper side-mount spare tire with color-matched cover on the passenger side. The interior has been fully restored to a high standard in gray leather, which is believed to be a rare factory option. It has clearly seen minimal use since the restoration, and remains in beautiful condition, just barely broken in. Extensive documents are on display, including restoration receipts, a bed load of awards and trophies, awards, club regalia and detailed photos of the restoration. It’s obvious this truck was taken care of by a proud and passionate enthusiast. With the Coupe Express, Studebaker successfully blended an unusual mixture of art-deco styling and pickup truck utility into what is a very cool and highly desirable package. 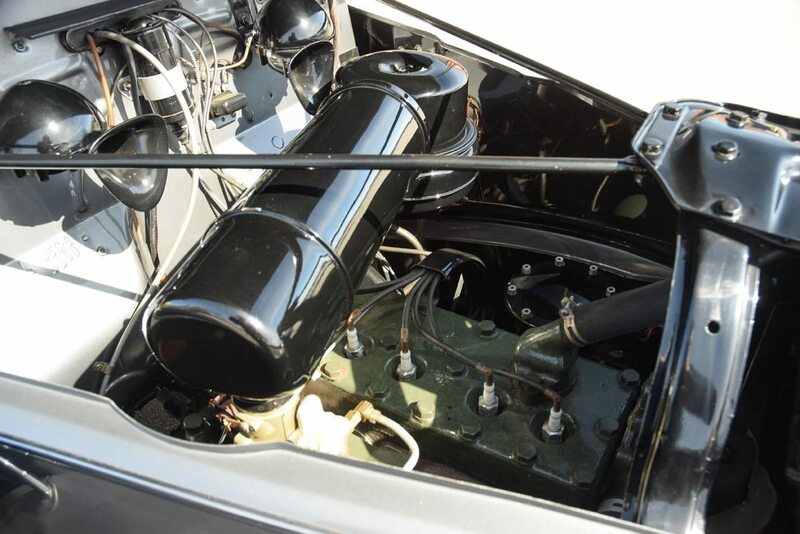 If you have a Studebaker or another collectible you’d like to insure with us, let us show you how we are more than just another collector vehicle insurance company. We want to protect your passion! Click below for an online quote, or give us a call at 800.678.5173.